Sites with user-generated content like Quora and Reddit can be gold mines for referring traffic to your website, boosting brand authority, and reaching niche audiences for your business. But you better respect what is and is not allowed on these powerful channels for distributing your content and increasing engagement. Neither Quora nor Reddit suffers fools and spammers lightly – these online communities have their own written and unwritten rules of etiquette and marketers attempting to game the system are quickly flagged and ostracized. Being cut off from the flow of two of the most powerful sources of online traffic can be a huge liability. Reddit, nicknamed “the front page of the internet,” attracts almost 60 million unique monthly visitors from the United States alone to its eclectic mix of news, weird links, and highly trafficked hubs of geekdom. Launched in 2010, Quora has excelled in Google rankings for a wide variety of topics because the site does a fantastic job of satisfying user intent through answering questions. Building authority allowed Quora to hit 300 million monthly users in 2018 and made it a one-stop shop for advice and recommendations. Quora can be an invaluable resource not just for marketers who want to increase traffic but also for companies trying to connect to their customers and get honest feedback. 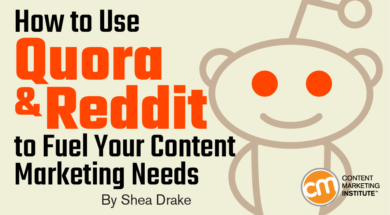 If you’re looking for the next step to boost your business or brand online, Reddit and Quora should be on your radar. Here’s what you need to know about these popular platforms to tap into their traffic potential. Once you’ve established a profile and gotten a feel for how to use these platforms, it’s worth lurking for a while and posting on a variety of topics to establish your credibility. It’ll take some time to cultivate your reputation as an authentic user before you can begin to tap into an audience for your content. More important than the demographics baked into Quora and Reddit is how each of these platforms can be used to find niche audiences. If you don’t customize your Reddit experience, you see only the popular posts on the front page. It can be some weird and wonderful stuff (like cats persistently trying to enter a Japanese art museum), but it’s unlikely to be the kind of content your business is looking to promote. To find an audience interested in what you have to offer, get actively involved in the smaller subreddit communities. There’s a balance to achieve between larger subreddits, which have more activity, versus smaller, which focus on more targeted, often less popular topics that attract a higher concentration of users who would be interested in your content. For example, if I’m a chainsaw performance artist (yes, that’s a thing), I might get mild interest from the larger subreddit community of forestry nerds, which has about 7,000 subscribers. The subreddit for chainsaw enthusiasts, which has about 1,000 subscribers, might be a better bet to generate more “buzz” for my chainsaw art. Likewise, for subjects like content marketing, you can check out r/content_marketing. Below is an example of someone asking a question and the types of responses received. The best – and worst – thing about Reddit is the conversational format that results from questions and comments. Notice in the right corner that the question received 88% upvotes, which shows how many more are interested in answers than just the original poster. In this case, someone answered, and a conversation resulted. 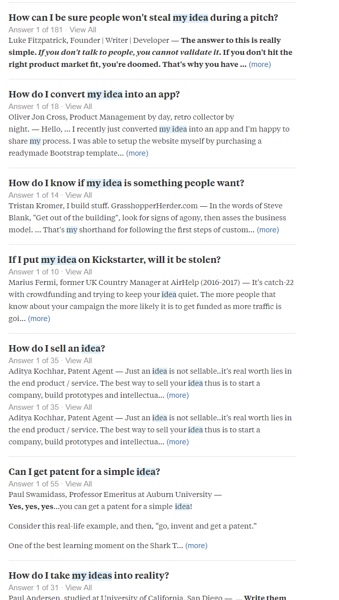 On Quora, tackle questions directly related to your industry. Start your search with related keywords and look for recent submissions with plenty of followers. Quora loves personal stories or bulleted lists, and while you can draft a few template answers for commonly asked questions, make sure you freshen up that content often. To see what Marie is talking about, look at this question and a couple of the answers below. One answer clearly helps the original poster learn more about SEO. The other is just selling services. Whether or not you agree with the following answer, this person gives relevant advice and shares a possibly helpful blog post to the person asking the question. Here are two types of answers they received. On the other hand, this answer is really a bad ad. 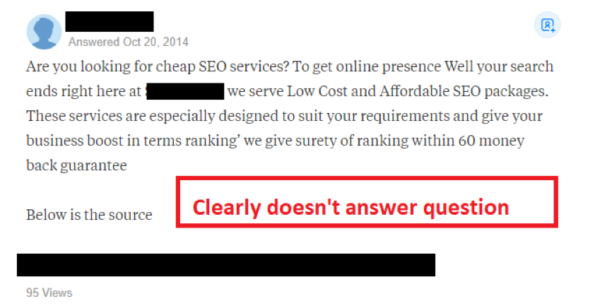 It doesn’t answer the original question and tells the original poster about its more affordable SEO packages. No proof, not conversation, just a copy/paste answer – that’s an ad. Like any community, Reddit and Quora have rules to guide the conduct of their users. Sometimes referred to as “reddiquette,” the Reddit code of conduct takes spammy links seriously and not only suspends accounts but bans entire domains. To avoid running afoul of these rules, carefully review Reddit’s FAQs and remember to disclose any relationship you have to the content you’re promoting. Never submit the same comment to multiple subreddits. Don’t ask for upvotes or promise reciprocity. Do share links to content that is not your own. Amass karma points first before you promote your own links. Quora has a similar approach to keeping its community spam-free, and many of the same rules apply. The site notifies you if your content is suspicious. Repeated notifications will get you banned from the platform in short order. 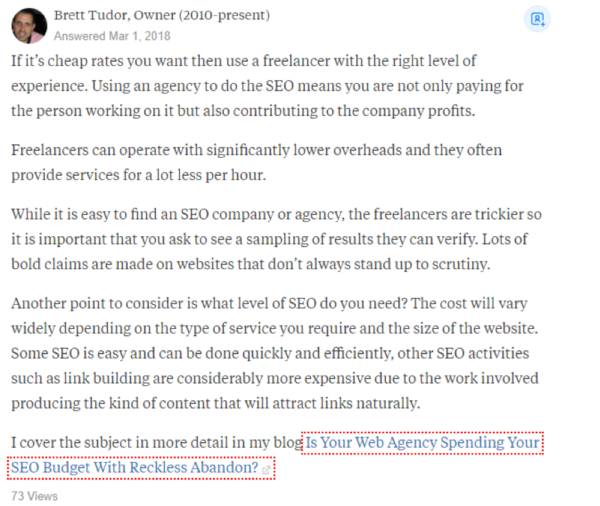 To avoid this, think of Quora not as a place to continually link to your content but as an opportunity to build your authority within an industry. Use your content and experience to answer questions honestly, and you can avoid being labeled as a spammer. Reddit and Quora are powerful platforms for marketers, but they are first and foremost communities. Success on both sites depends on your ability to answer questions and supply the content users want. In many ways, it’s the same approach you use to improve Google rankings – it’s less about showing off your product and services and more about showing that you can satisfy user intent. Scroll through these sites and spend some time browsing keywords on Quora or diving deep into industry-specific subreddits. Find out what users are asking and what kinds of content they look for. Reddit thrives on snarky commentary and quirky links. Quora loves advice with a sincere tone and organized actionable lists. Find questions you can really dig into and create well-formatted, thoughtful responses whose quality the community will recognize and appreciate. Once you’re established as an industry expert, users will come to count on your content for knowledgeable answers. By following these strategies, you’ll discover you’ve not only made yourself a valued member of the Reddit and Quora communities but also built loyalty for your brand and possibly a bump in traffic for your site along the way. Dive deep into the topic of content technologist this April in person at ContentTECH Summit in San Diego. Register today.